I am proud and excited to announce the meetup group Haskell DC. Our first meetup agenda is open so I envision some discussion and maybe some basic hacking perhaps using Real World Haskell or Learn You a Haskell for Greater Good. Both are freely available online. In this post I will put forth some ideas that we might consider for future meetups. I hope to see this grow into a community and am looking forward to contributions from members especially those that are currently working with Haskell. I hope to see a mix of practical and theoretical discussions and topics. I will also try to grow the group in terms of sponsorship. We actually have our first sponsor, the local coworking space company Uberoffices is providing us space for our meetups. I recently added our meetup to haskell.org under East Coast, which makes it seem a little more official. I have setup social media accounts on Twitter @HaskellDC also use #HaskellDC for HaskellDC tweets. I created a Google Plus account with the email haskelldc0 at gmail, haskelldc was taken. I have also created a Community in Google Plus for HaskellDC. I hope to do a Google Hangout for our meetups which was requested by one of our remote members. I even created a Facebook account if for no other reason but to claim it. I admit to not being great at the social media stuff but will do my best or perhaps I will get help there from other members. Learning Haskell has been on my list of things that I want to do for quite a while. Haskell is attractive to me because it was developed in academia and embodies some mathematical concepts and now it seems to be gaining ground for commercial use. So it is interesting to both the computer scientist and the working programmer. I have a few ideas about future meetup topics both practical and theoretical that I wanted to list out in this post. Of course the future is wide open and I am hoping that as a group we develop future ideas with opportunities for anyone to present or lead a coding session. In researching this post I became overwhelmed by the copious amount of material that there is out there for Haskell. I plan to write at least one if not two more posts about Haskell in terms of resources, research, and the ecosystem. Other NoSQL: Casandra, CouchDB, Riak, etc. Graph Theory Applications, Graph Algorithms, Dijkstra's Algorithm, etc. Category Theory, Functors, Monads, Catamorphisms, Anamorphism, etc. Ok, that’s quite a list. I tried to categorize these as best as I could. Monads show up under theory and language features, although I am not sure but I think they may be considered more of a language idiom. The list is clearly ambitious. If we have one meetup per month it would probably take several years to cover all of these topics if that were the plan. As some of the theoretical topics are pretty advanced, and I hope to someday understand them. Hopefully as a group maybe we make some progress as the theoretical aspects are important for better application of the practical. “The standard Haskell libraries feature a number of type classes with algebraic or category-theoretic underpinnings. Becoming a fluent Haskell hacker requires intimate familiarity with them all, yet acquiring this familiarity often involves combing through a mountain of tutorials, blog posts, mailing list archives, and IRC logs. The goal of this article is to serve as a starting point for the student of Haskell wishing to gain a firm grasp of its standard type classes. The essentials of each type class are introduced, with examples, commentary, and extensive references for further reading. 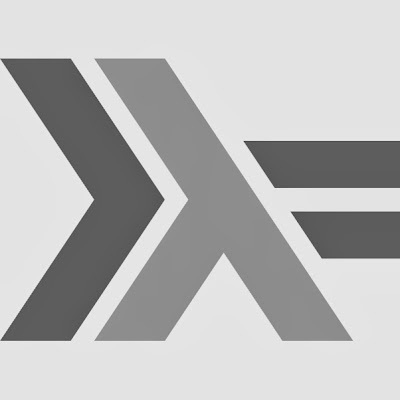 In the course of my own general research and what I did for this post, I can attest to the large amount and overwhelming Haskell related topics both theoretical and practical that are available online. In my above list of possible theoretical interests to the meetup group, I list Homotopy Type Theory. The relevance here is of course that Type Theory is relevant to Haskell. The theory and the book are new, coming out this year. I wanted to give it special mention because there is a lot of excitement about it, including claims that the theory is potentially revolutionary to both mathematics and computer science. The book is a daunting 600 pages and very heavy going, however, Robert Harper has done a series of lectures. I have watched the first lecture and found it very enlightening so I would recommend it, so far anyway. So for the meetup, as I mentioned we will probably start off with some easy learning and hacking. I thought it might be fun to try to implement something simple, maybe Fizz Buzz. Ultimately it would be nice to work to get set up with the ecosystem to do productive things in Haskell. Maybe eventually a group project or some higher level hacking, I have thought it might be interesting to something like work though some of the problems in Think Stats possibly using a Haskell statistics package. Well those are my ideas, feel free to suggest others or correct me if I got anything wrong, this is all new to me. I came by here to review the list of topics you suggested for Haskell meetup topics. I feel like I'm an intermediate-advanced Haskell programmer and could enjoy covering a fair set of the topics above, but I want to pick ones that would be audience appropriate, captivating, and succinct enough to get through in the time allotted. So let me run down the list of things and talk about ones I'd probably enjoy then I'll propose a few other topics which I quite enjoy. I'm leaving this list here both for brainstorming purposes and also to solicit and feedback on things that might be interesting and appropriate given knowledge of what the group has talked about up until this point. Thanks for adding these. I look forward to hearing you present.